Here’s another card using a few new items from the Occasions Mini, being released January 4th. 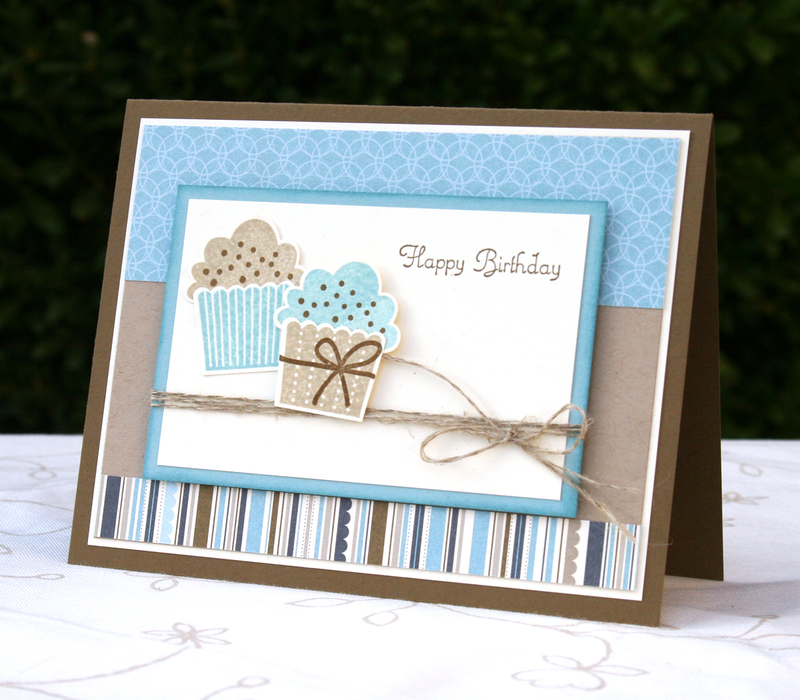 This card features the Create A Cupcake Stamp Set and the coordinating Build A Cupcake Punch. It works the same as the Build a Blossom I talked about yesterday, just stamp the image and punch it out!. Love it!!! The stamp set has lots of fun accents to pair with a cupcake, it has three greetings, a candle, a cherry and 2 different cupcake bottoms. I am offering a class featuring the Create a Cupcake products on February 26th. ← Let the Countdown Begin! What a cute card! I absolutely love your fresh style!